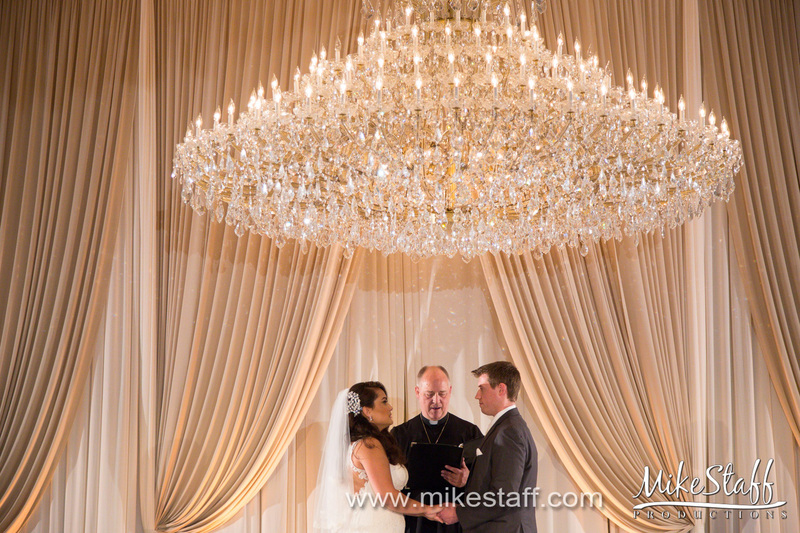 Katherine & Dan shared their magical evening at Drury Lane in Oak Brook and we are obsessing over these photos from Mike Staff Productions! 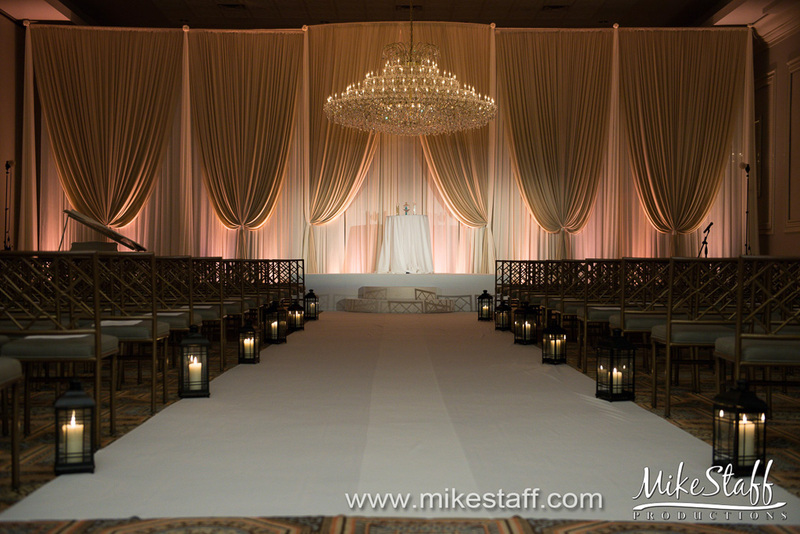 Ivory fabric with an elegant champagne front layer and amber uplighting made for the perfect ceremony backdrop. 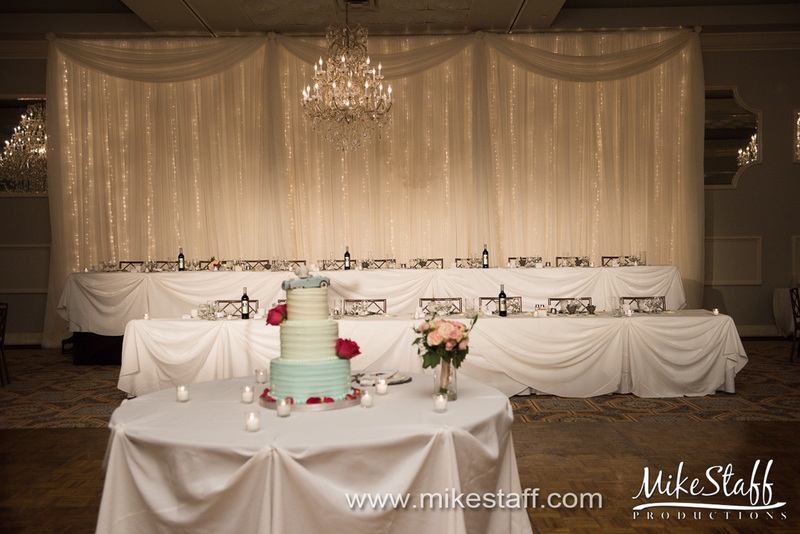 Their reception backdrop twinkled with fairy lights and white sheer. 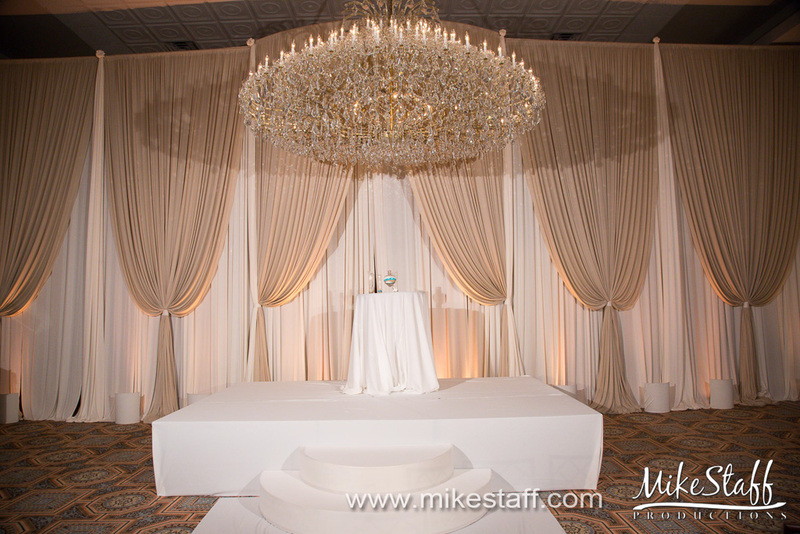 EEL Chicago loved being a part of this event. 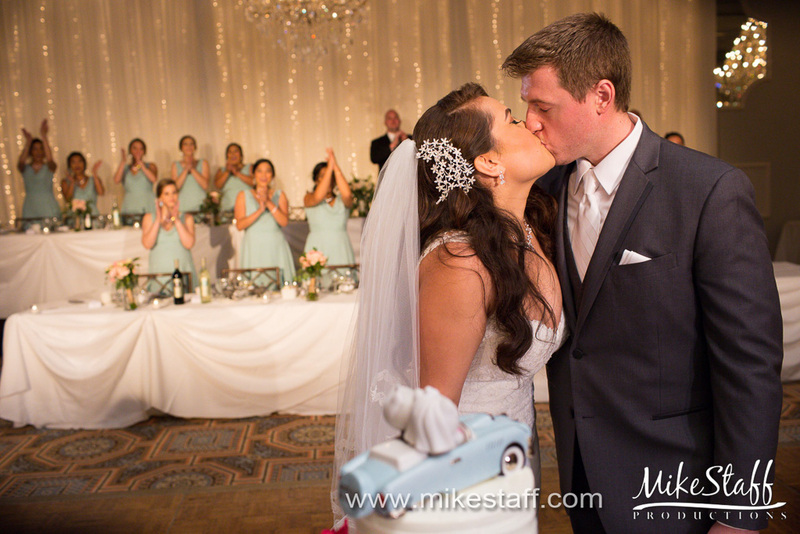 Congratulations Katherine & Dan!